276 / The supreme test of any metal is a test to destruction. The supreme test of any metal is a test to destruction. 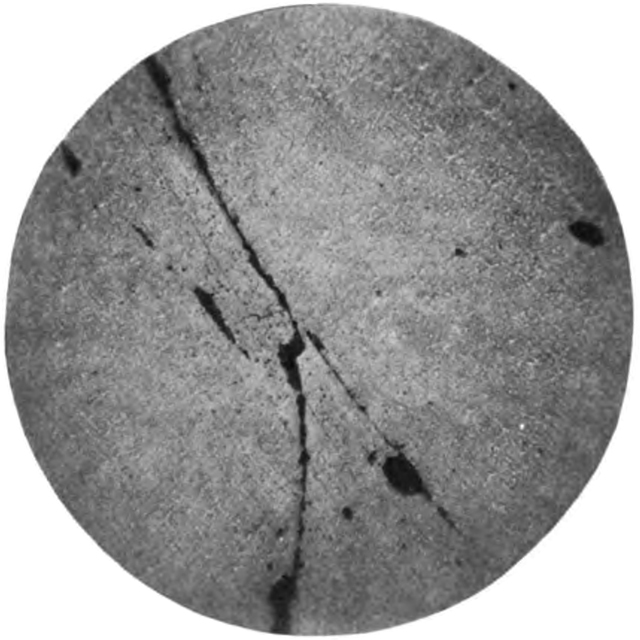 Crack and slag, with decarbonized area in 10-inch rifle. Slag in 10-inch rifle. Unetched. 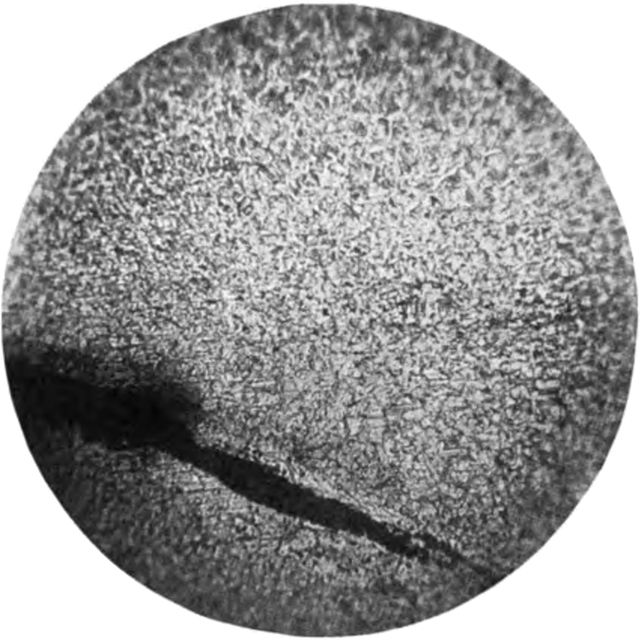 Illustrating Microscopic Examination of Steel, Ordnance Pamphlet No. 1961 reprinted in Report of the Tests of Metals and other Materials Made at the United States Testing Laboratory at Watertown Arsenal, Massachusetts, during the Fiscal Year Ended June 30, 1915 (1917): 249-262.